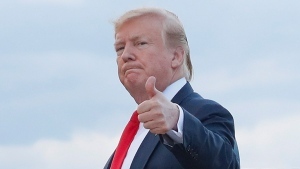 That's the message South African President Cyril Ramaphosa has for anyone fretting about the nation's plans for land reform, which drew a critical tweet from President Donald Trump last month. 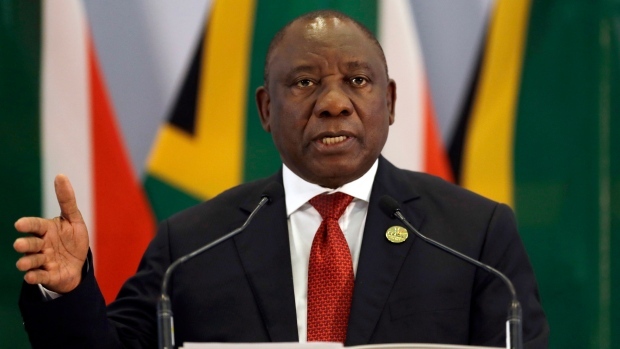 The government won't allow "land grabs," and land redistribution designed to address racial inequities will be orderly, Ramaphosa said Tuesday in remarks to Parliament. He also said he doesn't expect South Africa to be targeted by sanctions as it legally pursues land reform. Some South Africans have speculated that the United States might impose sanctions similar to those against neighbouring Zimbabwe, where violent land seizures occurred years ago. "Just relax," Ramaphosa said. "This process will end up very well." The economy, one of Africa's biggest, is already in recession and struggling with problems including a weak currency and fallout from state corruption under former President Jacob Zuma. White South Africans, who comprise about 8 per cent of the population, own more than 70 per cent of the country's private agricultural land even though white minority rule ended in 1994. The problem is more than a century old: A 1913 law allowed South Africa's black majority to own just a small portion of land, formalizing a race-based system of dispossession that had been in place for decades. When people learn about the history, "everybody gets a shock and they wonder: 'How could this have been allowed?"' said Ramaphosa, who took office after Zuma resigned early this year. The president acknowledged that "fears" remain about how land reform will unfold, though he said some concerns are dissipating. People can't "just wake up in the morning and go and do what they like and say, 'This is my piece of estate. I'm taking over,"' Ramaphosa said. "That is not going to be allowed."